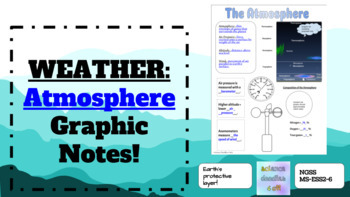 There are two great graphics for students to color as well as blank space to draw the layers of the atmosphere or fill in helpful information about each. Use these Graphic Notes as part of an interactive notebook, guided notes, or as a standalone activity! Keys included. Graphics from the Painted Crow. Don't forget to rate your purchases!